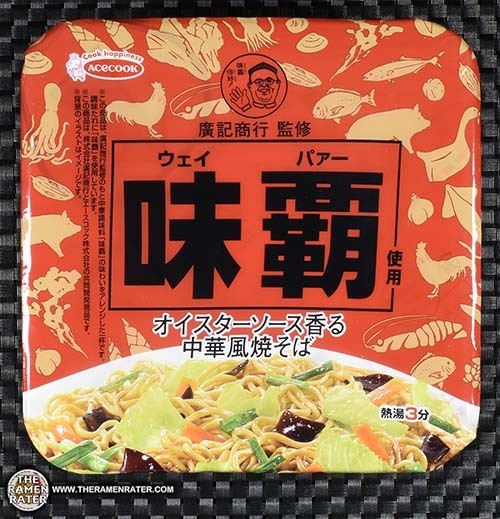 This entry was posted in * Stars 3.1 - 4.0, Acecook / Vina Acecook, Japan, Other and tagged 4901071207410, 901071207410, acecook, canada, chinese, chinese style yakisoba, fried noodle, japan, japanese, soba, style, yakisoba, エースコック, 中華風焼そば on April 25, 2018 by Hans "The Ramen Rater" Lienesch. 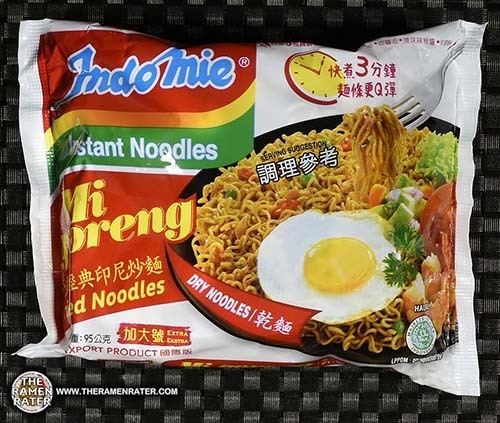 This entry was posted in * Stars 4.1 - 5.0, Indomie, Indonesia, Other, Taiwan and tagged 8994963000783, 8994963000790, 994963000783, 994963000790, dry noodle, export, fried noodle, fried noodles, indofood, indomie, indonesia, indonesian, instant noodle, mi goreng, taiwan, taiwanewse on April 15, 2018 by Hans "The Ramen Rater" Lienesch. 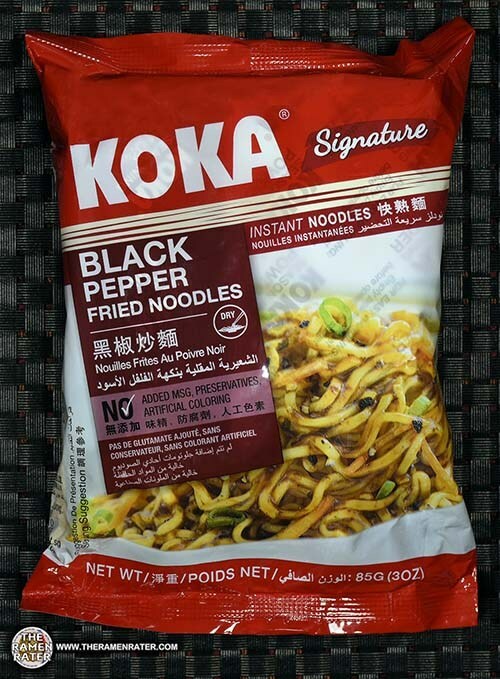 This entry was posted in * Stars 3.1 - 4.0, Koka, Other, Singapore and tagged 2709, 888056820016, 8888056820016, black pepper, fried noodle, koka, pepper, signature, singapore, singaporean, tat hui on February 2, 2018 by Hans "The Ramen Rater" Lienesch. 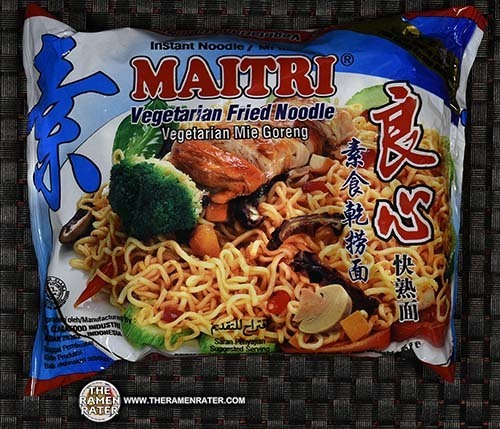 This entry was posted in * Meet The Manufacturer, * Stars 4.1 - 5.0, Indonesia, Maitri, Olagafood, Other, Vegetable and tagged 034126937254, fried noodle, maitri, meet the manufacturer, mi goreng, mie goreng, olagafood, vegetarian, waroeng jajanan on December 20, 2017 by Hans "The Ramen Rater" Lienesch. 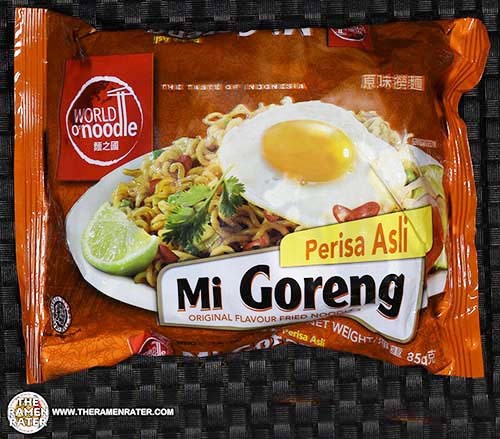 This entry was posted in * Stars 4.1 - 5.0, Indonesia, Other, World O'Noodles and tagged 2438, 557428000873, 9557428000873, flavour, fried noodle, indonesian, insdonesia, mi goreng, mie goreng, original, perisa asli, world o' noodle on May 11, 2017 by Hans "The Ramen Rater" Lienesch. 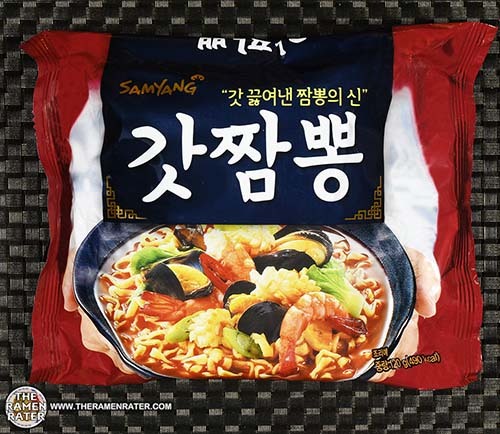 This entry was posted in * Stars 4.1 - 5.0, Samyang Foods, Seafood, South Korea and tagged 2282, 801073113213, 8801073113213, fresh, fried noodle, jjamppong, korean, samyang, samyang foods, seafood, south korea on December 31, 2016 by Hans "The Ramen Rater" Lienesch. 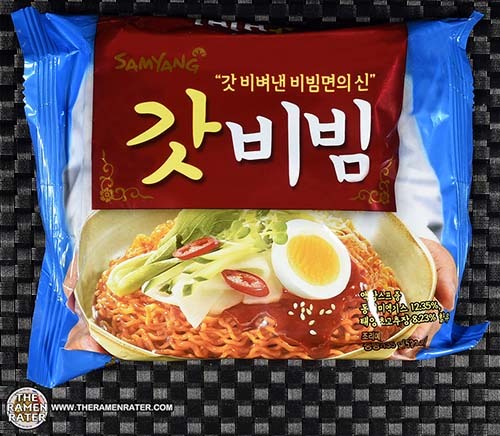 This entry was posted in * Stars 3.1 - 4.0, Other, Samyang Foods, South Korea and tagged 2270, 801073113251, 8801073113251, bibim, bibim men, bibimmyeon, bibimmyum, cold noodle, dry noodles, fresh, fried noodle, korean, samyang foods, south korea on December 17, 2016 by Hans "The Ramen Rater" Lienesch. 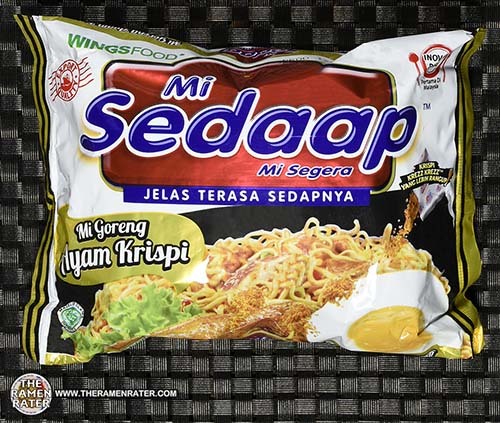 This entry was posted in * Stars 4.1 - 5.0, Chicken, Indonesia, Mi Sedaap and tagged 899866610117, 8998866803809, 998866603809, 998866610117, ayam krispi, chicken, crispy, fried noodle, indonesia, indonesian, jelas terasa sedapnya, mi goreng, mi sedaap, mi segera, wingsfood on June 12, 2016 by Hans "The Ramen Rater" Lienesch. 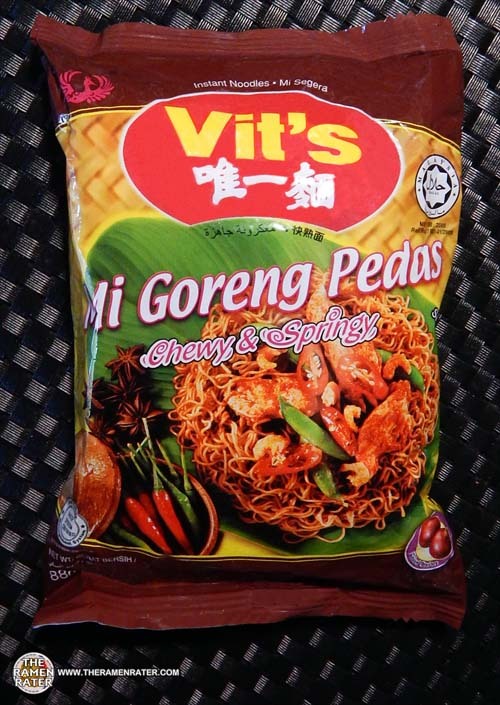 This entry was posted in * Stars 3.1 - 4.0, Malaysia, Other, Vit's and tagged 1699, 556354000353, 9556354000353, chewy & springy, fried noodle, malaysia, mi goreng, pedas, penang, spicy, vit makanan, vit's on June 16, 2015 by Hans "The Ramen Rater" Lienesch. 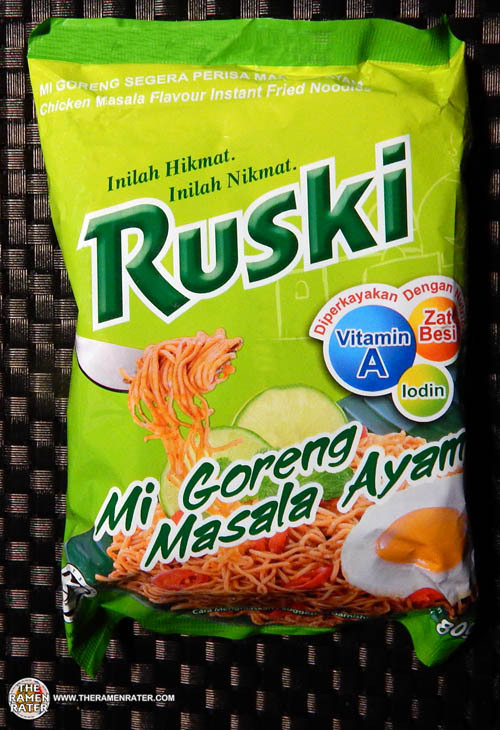 This entry was posted in * Meet The Manufacturer, * Stars 3.1 - 4.0, Chicken, Ruski, Thai President Foods, Thailand and tagged 1472, 8 852523 208492, 8852523208492, ayam, chicken, chicken masala, fried noodle, fried noodles, masala, masala ayam, meet the manufacturer, mi goreng, mi segera, ruski, thai, thailand on September 1, 2014 by Hans "The Ramen Rater" Lienesch. 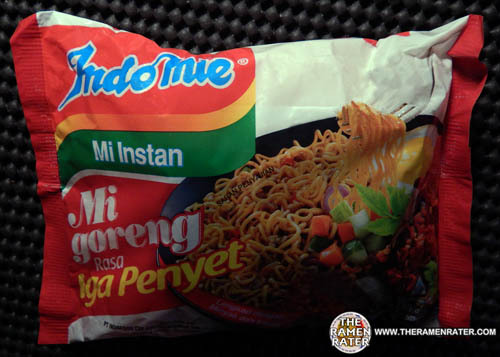 This entry was posted in * Stars 4.1 - 5.0, Beef, Indomie, Indonesia and tagged 0 89686 04368 6, 089686043686, 1390, beef, beef ribs, fried noodle, iga penyet, indofood, indomie, indonesia, indonesian, mi goreng, mi instan, rasa on May 16, 2014 by Hans "The Ramen Rater" Lienesch. 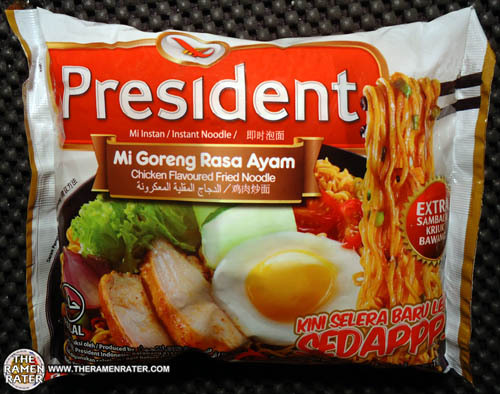 This entry was posted in * Meet The Manufacturer, * Stars 4.1 - 5.0, ABC / ABC President, Chicken, Indonesia, President and tagged 1258, 8 992388 312290, 8992388312290, abc president, chicken, flavoured, fried noodle, indonesia, indonesian, meet the manufacturer, mi goreng, president, rasa ayam on December 18, 2013 by Hans "The Ramen Rater" Lienesch.